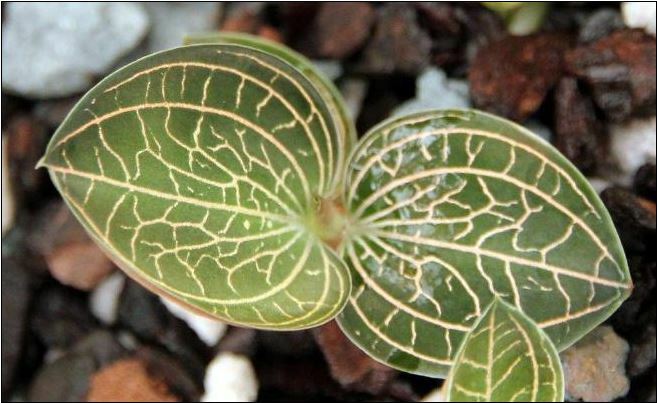 Jewel Orchids are so named because of the stunning patterns and coloration of their dramatic foliage. Truly miniature in size, they are ideal candidates for even the smallest terrariums. Although they can be difficult to grow in exposed conditions, their culture is greatly simplified when enclosed in glass. The enjoy warm temperatures and a humid atmosphere without frequent misting. They like consistent moisture but do want good drainage and aeration around the roots. Our plants are young and shipped to you growing in 2" pots.